On Thursday July 19th, SBL’s Sam Tecle, had the chance to speak with Matt Galloway, host of CBC’s Metro Morning. He was invited to discuss Minister Michael Tibollo’s wearing of a bulletproof vest during a police ride-along in Jane and Finch. He brought up the bulletproof vest during question period which sparked a city-wide debate on racism and what we once called “priority” neighbourhoods. In addition to the interview, we wanted to interrogate what the wearing of a bulletproof vest in Jane and Finch means politically. In so many ways, the donning of the bullet proof vest and Minister Tibollo’s touting of that fact re-inscribes Jane and Finch as not only a no-go community, one in which the general public need avoid at all costs but it also continues to position Jane and Finch (and other similar communities) as those worthy of continued structured neglect and disinvestment. By structured neglect, we mean the cruel irony of the fact that in order for a community, an entire swath of people to be considered at-risk, marginalized or priority means that for generations they would had to have been structurally neglected and continually disinvested. There is no other glaring truth to this fact than the set of community housing by Firgrove that were deemed too far gone to even have been renewed or revitalized. In a city and province with dwindling social housing, that we are allowing the small number of housing we do have to decay to that degree is neglectful to say the least. 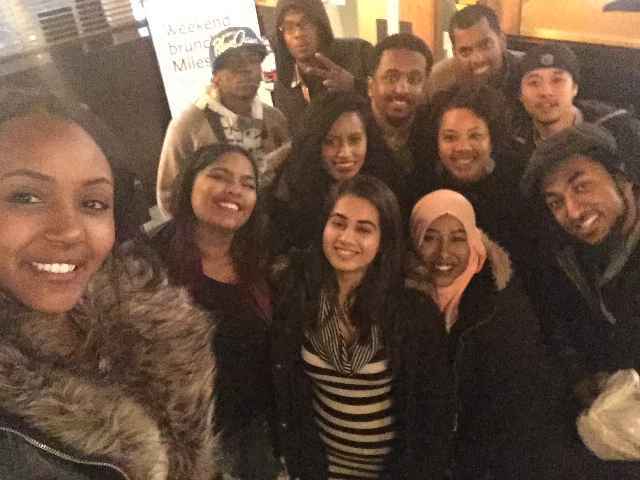 Our trip to Harvard University brought SBL youth mentors from Jane and Finch to the Black Policy Conference. The aim was to inspire traditionally underrepresented students in post-secondary institutions and nurture their aspirations in conversation with black students at Harvard University. Stay tune, there is more coming. Check out our March Break Report which highlights our successes and achievements throughout the week. Be sure to also take a look at our video that captures the march break in ways that the report cannot (Click here for the video). Below is the link to the report. Attention all students and parents of African descent. 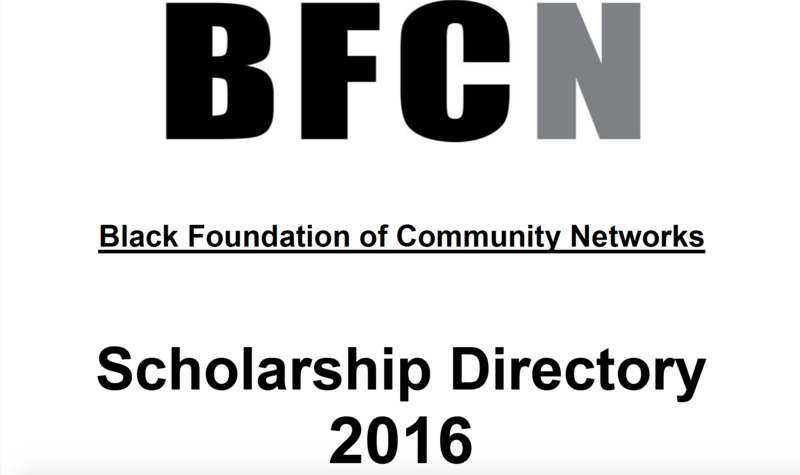 Check out an extensive directory of scholarships you can apply to! Long lasting, sustained and deep-rooted relationships are a cornerstone for much of the work we do. Our model of youth development and support from Middle School all throughout High School and now even to post-secondary means that we are there for the most formidable and impressionable years of the young people we support. This stems from our hyper local, system focus which not only allows us to positively impact young peoples lives in a community we are intimately familiar with, but also to continually push the envelope of these systems while helping to direct policy – impacting youth on a wider scale. None of this would be possible at the deep level, far reaching impact that we have without forming very important relationships. There is no relationship more important than those with our mentors and mentees. These relationships are important because when we as staff focus on providing the infrastructure to keep our youth space and community organization viable and lasting, our mentors form that integral and important bridge to the mentees. And in turn, we as staff support past mentors into staff and board roles. The model is holistic and renewing. And that is precisely why the model is so effective. Many of these relationships initially start in grade 8 and continue on through their high school journey. Although the work we do is focused at the elementary and secondary level, those important relationships continue on into adulthood. 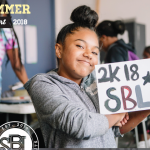 As our mentors graduate high school and go on to post-secondary, join apprenticeship programs or enter the workforce, many stay connected by tutoring in our after-school program, facilitating programming, while some become SBL staff and board members. 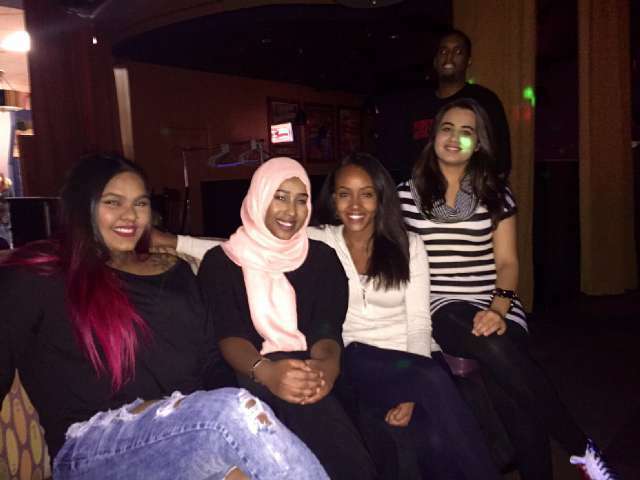 On December 21, 2015 staff and mentor alumni got together for competitive games of bowling and dinner. The evening was yet another way of sharing stories, checking in, staying connected, celebrating their successes, while creating new memories. 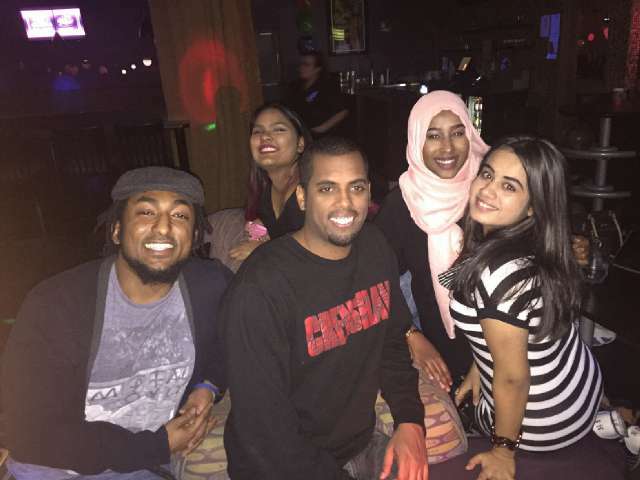 It was an evening filled with smiles, laughter and nostalgic moments. Most importantly, the impetus for the mentor alumni dinner came from the alumni mentors themselves, reminding – both staff and mentor alumni – of the many important reasons we do the work that we do. In November of 2015, Pathways to Education and the York Centre for Education and Community hosted an event titled, the “Community Knowledge Roundtable: Promoting Youth Success through Supportive Relationships”. It was a powerful dialogue bringing together the City of Toronto, Success Beyond Limits, York University Faculty of Education and Pathways to Education in a conversation designed to build strong collaboration and shared learning. Many times, students don’t seem to understand the power of our words, and how impactful or how much of a difference our voice can make towards the world, environment and community. Another thing youth don’t seem to take full advantage of is the great opportunities and privileges that get placed into our hands and laps. Usually when we hear about workshops taking place after school, our first instinct is to not go. However, when actually attending workshops we realize there is knowledge that will better our lives and those around us. 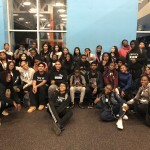 On September 29th, Success Beyond Limits had a workshop held by Sophie that allowed other students and myself to collaborate and put together information that would help form a website for Toronto youth similar to ones created by the City of Mississauga and Vancouver. I personally felt like taking part in the workshop was a great opportunity for myself and other youth to advocate and speak on issues or topics that can be covered on the website that will give young teens from the ages of 15-29 faster and more convenient access to answers of common questions that get asked. For example, “What organization in Toronto works with youth within the ages of 14-18?” During the workshop, we were able to cover a variety of things, such as how the website should be designed that would attract more traffic and what should be included on the website such a directory, pictures, etc. Throughout the workshop I felt like there were a lot of agreements and disagreements about certain topics, yet everyone’s voices was heard, and Sophie jotted down notes which will then be further discussed with her partners when creating the website. To get workshops to be engaging, it is best to get the youth/students interacting. Sophie did this by giving us a list of topics that are important and allowing us to place stickers beside the ones we thought were most important. The tricky part was we were only able to choose five and there were many more important topics. However, doing this helped Sophie narrow down what we, as youth felt needed the most attention in our city. The exhibition opened with a free public reception on Wednesday, September 23, from 6-9 pm where Marlon Griffith, AGYU and the youth from across the city that were involved in the project gathered together to celebrate the project. 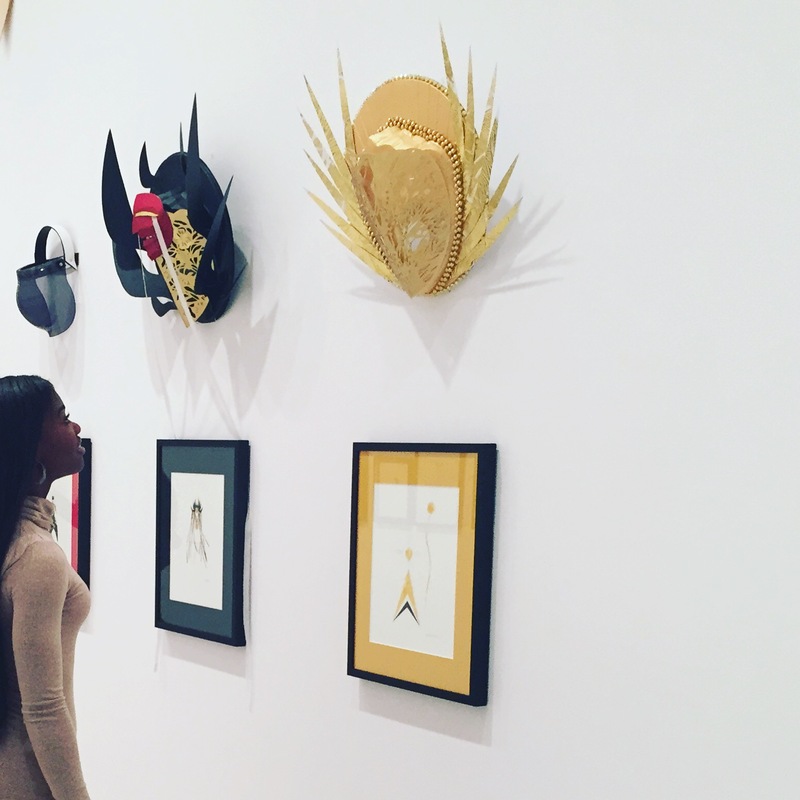 SBL alumni mentors, Destiny Henry, Adulkadir Nur (Moose), Aliyah-Suvannah Burey and Kareem Bennett wrote and performed beautiful pieces to accompany the masks during the procession and the artwork at the exhibit. The poetry and artwork captured the symbols and grandfather teachings of courage, love, humility, honesty, respect, wisdom, and truth. For anyone that would still like to view this amazing collection, the exhibition will stay open until December 6th. 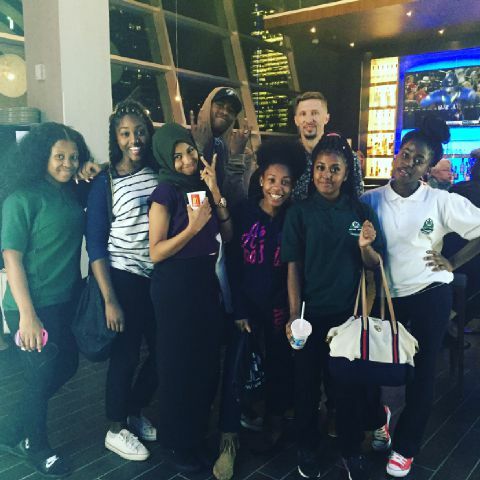 This year for the Toronto International Film Festival, SBL youth were given the opportunity to see the city taken over by #TIFF2015! A group of mentors, program participants and staff headed downtown to see the films Keeper & as I Open My Eyes. The film was extremely engaging and emotionally charged story about the connection between fatherhood & teenage-hood. While the youth expected it to work out in Hollywood fashion, they were left with raw emotions by the end of the film, which led to amazing conversations around their experience with teenage-hood and family. A smaller group went to see As I Open My Eyes, which sparked great interest in learning more about the conflict happening in Tunisia. In both cases, the experience was powerful and we thank our partners at TIFF for providing this opportunity to the youth each year!